Schaeffer penned these words 30-40 years ago and their relevancy and poignancy become more and more distinct as the years go by. What he said as a “seer” (of sorts) all those years ago could be considered mere observation today. Ponder, discuss, and enjoy! ~ by Ted Wueste on September 27, 2012. What does he mean by “ecclesiastical position”? Is this another way of saying denomination or something more meaningful? Great question, Josh. 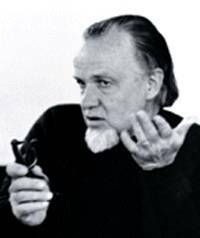 Likely, Schaeffer meant something along those lines – the authority or “rightness” that any one church might claim to have.